The story of how one Chicago teen mom went from being homeless to being class valedictorian is sure to inspire you. Trameka Pope is the definition of Black Girl Magic. 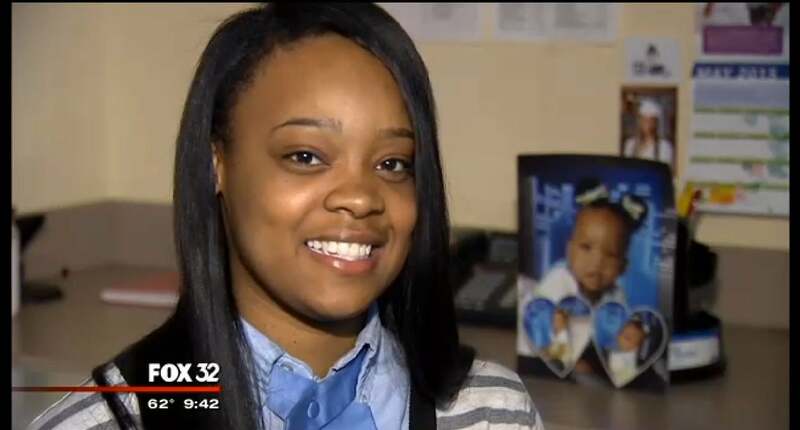 This teen mom went from being homeless to graduating at the top of her high school class, Chicago’s Fox 32 reports. While in grade school, Pope and her mother were homeless. In eighth grade, Pope became pregnant and later gave birth to her daughter just three days before starting her freshman year of high school. Despite these obstacles, Pope was always determined to be great. Next week, Pope will graduate from Chicago’s Wendell Phillips High School as class valedictorian. Not only that, but she’s been awarded more than $80,000 in scholarships and has been accepted to over 25 colleges and universities. One-in-four students at Wendell Phillips High drops out of school before graduation. Those odds are increased if that student has a child. But Pope refused to be one of the numbers. “I didn’t give up. I pushed myself hard. And my baby motivated me every day because I wanted to provide for her and I also didn’t want to be a statistic,” she said. Pope does indeed push herself hard. In addition to raising her daughter, she works part-time at a local grocery store when she isn’t cheerleading at basketball or football games. She’s also a member of the National Honor Society and several other extracurricular activities. On top of all of this, Pope attends college prep courses at the local Kennedy-King College and is taking AP Calculus. This fall, Pope will attend Western Illinois University. She hopes to one day earn a PhD in social work. Congratulations, Trameka Pope, for being a Black girl who rocks!